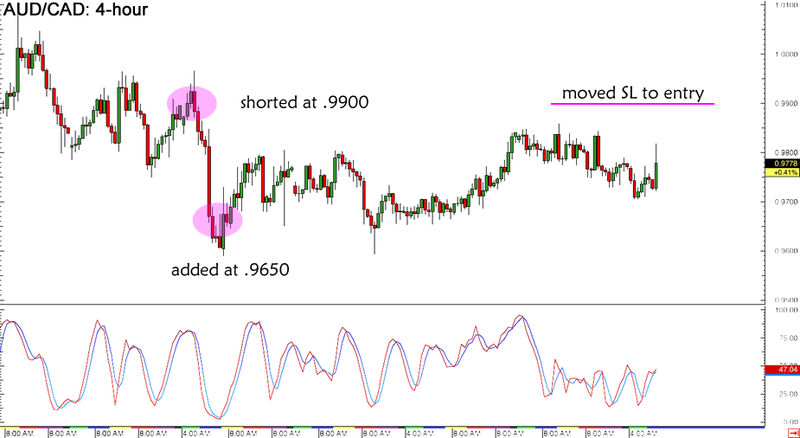 I’ve got some sort of Aussie forex hedge going on with my short AUD/CAD position trade and my long AUD/JPY setup. Here are my trade adjustments after today’s RBA statement. Ha! Contrary to what some economic hotshots predicted, the RBA decided to keep interest rates on hold this time, as policymakers might want to wait for the impact of their previous rate cut to kick in before easing again. 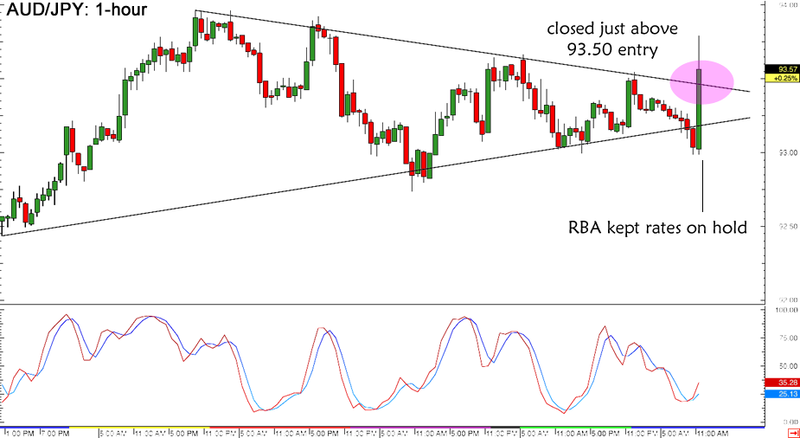 This caused a sudden bounce for AUD/JPY, allowing me to close my trade early just above breakeven. Even though the Aussie could enjoy a bit of a relief rally for now, I’m thinking that forex market participants will continue to price in a potential rate cut for the next RBA statements. That’s because economic data from the Land Down Under has continued to disappoint and the recent PBOC surprise rate cut might keep weighing on risk appetite. As for my AUD/CAD swing trade, well, I’ve decided to keep my positions open for this one since my stop at breakeven didn’t get hit during today’s RBA announcement anyway. Besides, that long wick around the .9800 major psychological level suggests that there were plenty of sell orders triggered at that resistance area and that forex traders are still mostly bearish on the Aussie. The event risks for this trade setup this week though are the Canadian GDP, Ivey PMI, and BOC rate statement. I’m inclined to think that the BOC might also sit on their hands for now, as oil prices appear to have bottomed out and the Canadian economy has seen a few green shoots. Apart from that, Canada might also stay supported by the strong recovery in the U.S. economy, which suggests that AUD/CAD could keep treading lower. What do you think of my forex trade adjustments?